What is this on InRange? Re: What is this on InRange? Just a thought, but if you could design it to accept a piston AR15 upper that's available on the market like PWS or even the new Brownells BRN-180, you could partner with those companies using a proven gas system or even just make it more compatible with the AR-15 market. 4) Recoil impulse, I have been over-stroking my BCG by %25 with 30% less mass... Testing will continue with series return springs. As you know, a majority of the standard AR-15 recoil impulse is generated at the mechanical stop of the BCG 3.6-3.9" dependent on config. I have already had conversations with multiple companies and very few are interested in developing a new rifle. Or maybe just this rifle... Ha! Tooing cost for polymer molds and others ~200k.. So.. it is always a gamble, anyone know how many Tavors, AUGs, or RDBs that have been sold? Very nice, though I'd probably pass unless I could have something longer than a 14.5" barrel. I buy a bullpup for the best ballistic potential in the smallest package, and 14.5 just doesn't do it for me. Agreed! I just made the shortest/lightest for the prototype. There will be different rifles/uppers with any barrel length desired. 20" barrel = 29.5" rifle, 16" barrel = 25.5" *(Buttstock Collapsed) rifle..Buttstock travel is 2". 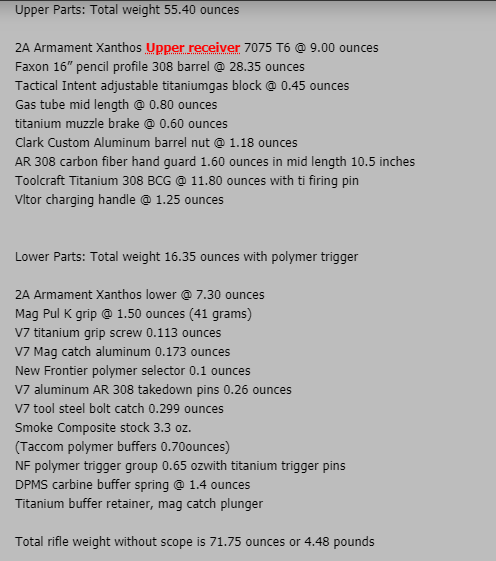 Any AR-15 barrel with mid-length or rifle-length gas system can be readily installed..
Tavor sold over 50K SARs to US civilian market by 2016 from their release in 2013...I bet over 100K Tavors have been sold here by now...the Tavor is one of the most, if not the most successful bullpups in the current market (Steyr used to own this but I think IWI has caught up with them). Welcome to our Bullpup Forum ! It's 2019. Why am I not seeing some version of ambi-ejection or downward ejection in the overall design? He made it use AR bolts, it's swappable and there is a cover. Don't know what black magic you expect him to pull to make it 100% ambi while still doing something that makes perfect sense. AR parts compatiblity is practically a holy grail concept for people that wanna look down on anything that isn't directly an AR. Nonetheless, this is awesome work. Had some of these ideas, but it's good to see someone who had the same idea, but also had the production capability I don't to make it real. Update: I just reviewed the marketing document --- Is there a 6.5mm Grendel version upcoming !!! Is there a website for this platform yet? I am still in the tentative stages with the manufacturer but would use his website if the project goes forward. Working with his lead engineer we just finished pricing every part. Counter-intuitively, it has less parts than a standard M-16A2.. The rifles manufacturing cost was in the "ballpark" and hopefully we will be building a secondary prototype soon. The design would lend itself to any of the standard calibers. 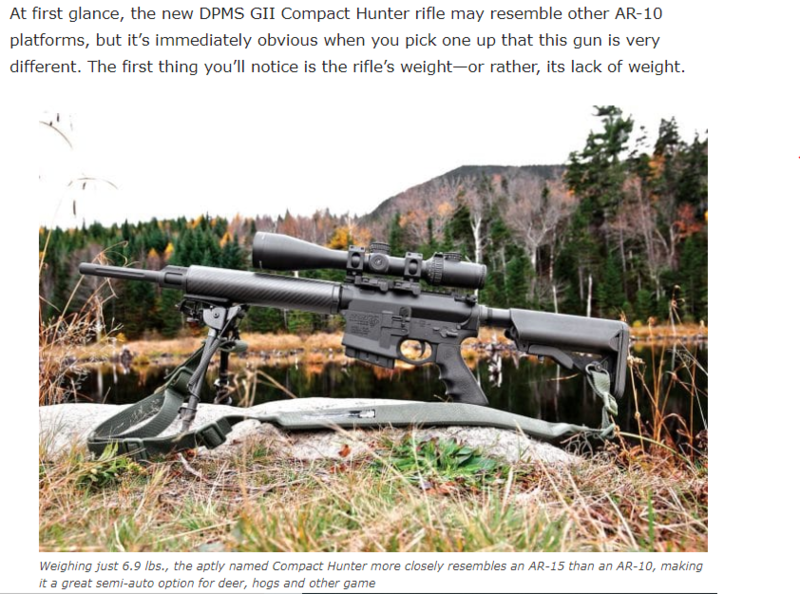 I often ponder if I could match Stoner's original AR-10 weight of 6.85lb!
. . . I often ponder if I could match Stoner's original AR-10 weight of 6.85lb! Thanks for the info! Well I guess 6.85lbs is not ambitious enough.. Nonetheless, working on the 5.56 variant first and foremost!